I have to confess that I once tried the art of card counting a very long time ago. It must be at least over 20 years ago and it was in a Stakis Casino in Leeds and the GM at the time was one Dave Croft. We acquired a book (my father and I) on card counting and we read it over and over again then we got the cards out and began to practice and practice. It wasn’t a particularly difficult or a complex method of card counting and I excelled at math and I also have a good memory especially when it comes to numbers. We would often take over the dining room table and use 6 decks to practice our card counting skills and this went on for several weeks.I can not remember the title of the card counting book but I will link to some later in the post. Anyway it was Christmas eve and we always went to the Stakis Casino in Leeds for our Xmas eve meal. We had dinner as usual (only a single glass of wine for me after all I was a card counter, or I thought) Off to the Blackjack table, I found a space and duly threw over my money to get the chips. Game on and card counting to commence, I won’t go on as I was absolutely “Rubbish”, I was concentrating that hard I look back now and realize how obvious I was. The dealer started chatting to me, the inspector started to chat to me and my counting and concentration had gone. I had been rumbled probably less than 10 mins into the game, Did I win , I can not remember so if I did it would have been a pittance. So that was the start and the end of my card counting career but thanks to John Connolly again, I am going to share his story on how the Pro’s do it. In 1994, I was working as Gaming Manager at one of the most well known casinos in Central Europe. I had just come on duty for the night shift at around 8:30. A player and his girlfriend had arrived during the afternoon and presented themselves to the General Manager. The player a young American had singled out our casino because it was one of the few in the city with a hotel attached to it. He told the G.M. that he had $30,000 dollars and he wanted to play blackjack and would we comp. his room stay. He gave the G.M. his business card, which read “ Strategic Trading Company” and an address in Vancouver, Canada. He was told he could play and that we would rate his play and if warranted we would compliment his stay, so off they went to book their room in the hotel. Some time later that afternoon he returned to play at the $25 minimum blackjack table, the G.M. had become suspicious of him so he telephoned the building in Canada, which housed the company mentioned on his business card, they had never heard of such a company. It’s customary in Europe that all visitors to a casino must register to enter with an Id. 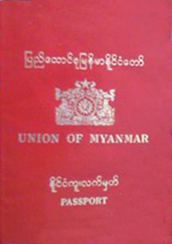 (a requirement of law) and in this case the player had entered on a Burmese passport, which had been issued in Vancouver, Canada, the name in the passport was Sayadaw Mahasi, what we didn’t know at the time was that this name belonged to a famous Buddhist monk, who was deceased. 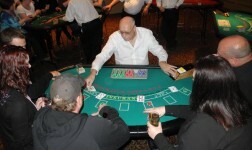 When I took over the responsibility of the gaming floor in the evening, he was already ahead of us by $5,000 and the order had gone out to give him a short deck. Meaning that the dealer had to place the cutting card in the middle of the pack and limit the possibilities of him counting down the whole shoe. By now it was obvious that we were dealing with a card counter but whom and how good was he. I began to watch his betting pattern and it was noticeable that he was incrementally raising the size of his bets according to the count. So when the remainder of the deck was rich in tens and aces or when it was known that the shoe was hot. Also during the shuffle he was concentrating on the cards and not looking around the room or chatting to the dealer, which is more usual. Then on the first bet of the first hand of the new shoe he had placed a $500 chip. In 1994 I had heard of ace location or ace sequencing but I had never witnessed anyone doing it before. After that shoe, he decided that it was time to eat so he coloured up his chips and left the gaming floor to go for dinner in one of the restaurants in the hotel. I took this opportunity to go into the office and study the mug shot books, which in those days we kept to help recognize any gaming cheats or undesirables. We had three large books full with thumbnail pictures, mostly in black and white, so this was a time consuming task when you don’t know whom you are looking for (not as easy as searching through a computerized database). Three quarters of the way through the second book there he was, a small black and white photograph, which was about twelve years old at the time, John Chang, a member of the M.I.T. card-counting team it said. When he returned from dinner I stopped him at the entrance to the casino and I told him that he couldn’t play any more. He asked me why and I told him to just think of how he had presented himself to us, end of argument. So he put down his chips on the reception desk and said what do I do with these, $10,000 worth, I instructed security to take them to the cash desk and we would bring him the money. He said “I have got some more in my room” and off he went to get them, it was only another $75, probably pin money, when he got back his cash was waiting for him and that was the last we saw of him. He had won approximately $6,500, not bad for a few hours work. His girlfriend J.L.R. who at the time of writing is still mainly anonymous had been playing at one of the competition casinos nearby, she was going by the name of Manuela Saenz a 19Th century South American female revolutionary. She had completely charmed the shift manger at that location, he couldn’t believe that such a nice young woman had wandered into his casino to play high stakes blackjack, she was ahead by 12,000 dollars when we called to inform him of who she was. Following this visit we introduced a new shuffle to the blackjack, to prevent shuffle tracking and ace location, this new shuffle was so time consuming. We were losing so many potential hands per day, waiting for another unlikely visit from the M.I.T. realising this, we changed back to the original shuffle, the A shuffle but we also kept the B shuffle for use in cases when other shuffle trackers emerged and they duly did. We were never again visited by the M.I.T. but other blackjack team members and many individual card counters, in fact Budapest is firmly on the map for the international travelling cheats and during my time there I had come into contact with most of the worlds best. In 2002 in a question and answer interview with Richard W. Munchkin, Johnny C. as he was then known gave a description of his travels outside of the U.S. where he had visited England, Austria, Czechoslovakia, Hungary, France, and the Caribbean. There he had mentioned that while in Prague the casino was owned by a Frenchman and that the manager had removed certain cards out from the shoe, while he was at dinner, making it impossible to count down the deck correctly. It should be noted that Prague is in Czechoslovakia and not in Hungary because in another question and answer session Mike Aponte also a MIT team member said that “Mickey” (John Chang A.K.A. Mickey Rosa) had been short shoed in Budapest. (A short shoe is one in which tens and aces have been removed this gives the casino a higher edge). Knowing the Hungarian capital as I do and all of the casino managers that ever worked there, I very much doubt that this ever happened. Was it just another American getting his geography mixed up, this reminds me of the book “Inside Las Vegas” written by Mario Puzo of Godfather fame, he says that while playing roulette in London the dealer took the ball from the winning number and placed it in another, this in my opinion is very hard to believe, this type of action could cost the dealer their job and there is no benefit in doing it. England is one of the strictest gaming jurisdictions in the world, where all casino staff is licensed by the Gaming Board for Great Britain; today known as the Gaming Commission. Mike Aponte along with his partner Dave Irvine have formed “ The Blackjack Institute” where they teach paying students the MIT system of blackjack play. “ In 1994 a group of MIT students took Vegas by storm…” but Johnny Chang had started at least 10 years earlier. Chang who is now living in Las Vegas and still plays from time to time has stated, “there are probably a few tens of counters active at any one time and maybe a hundred or two are able to act on a moment’s notice”. The blockbuster movie “21” which was breaking box office records as I wrote this article, will inevitably lead to an upsurge in blackjack play and card-counter activity. In my opinion it would be wise if casinos removed 50% of their automatic shuffling machines from their blackjack tables to make way for the influx of young wannabe card counters. Lets face it there are probably less than 100 good card counters world wide and as these are by now very well known, casinos are not doing themselves any favours by prohibiting this activity to the masses. I would only introduce the card shufflers when faced with team play, which should always be discouraged and written in the house parameters to prevent this from happening. 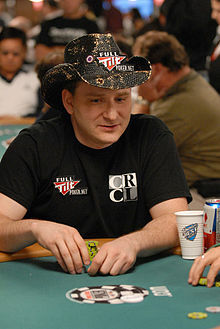 In an interview with The Sunday Telegraph, Andrew Bloch former M.I.T member now one of the world’s top poker players describes how they beat the casinos at their own game. “I probably made half a million over six years,” he says, sitting in a steak house in Washington. “Some I earned as a player and some as an investor.” A half a million in six years is not a lot of money, for someone who is a good card counter. which is the basis for the film “21” it is amazing how many M.I.T. card counters are coming out of the woodwork. While previously they made a point of trying to disguise themselves, now they are openly appearing in every form of media that exists. I doubt if many of them will ever be able to seriously continue their card counting activities especially in casinos, which take the necessary precaution of tracking them. 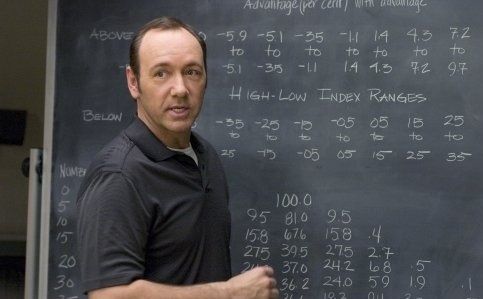 Since I began writing this article it has come to light that Bill Kaplan has also staked a claim to the persona of Micky Rosa played by Kevin Spacey in the film, a MIT maths professor. In actual fact there was never an MIT professor involved in the MIT card counting team and the character of Micky Rosa would probably be a composite of Professor Edward Thorp, who started the card counting industry with his book “ Beat the Dealer” the bible of card counting. Is It Really Cheating ! 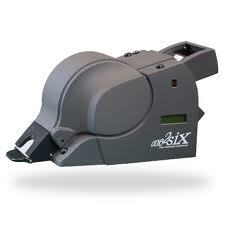 Card Counting What’s your view ,is using your brain cells cheating ? Would Todays Young Dealers be able to spot these People ?